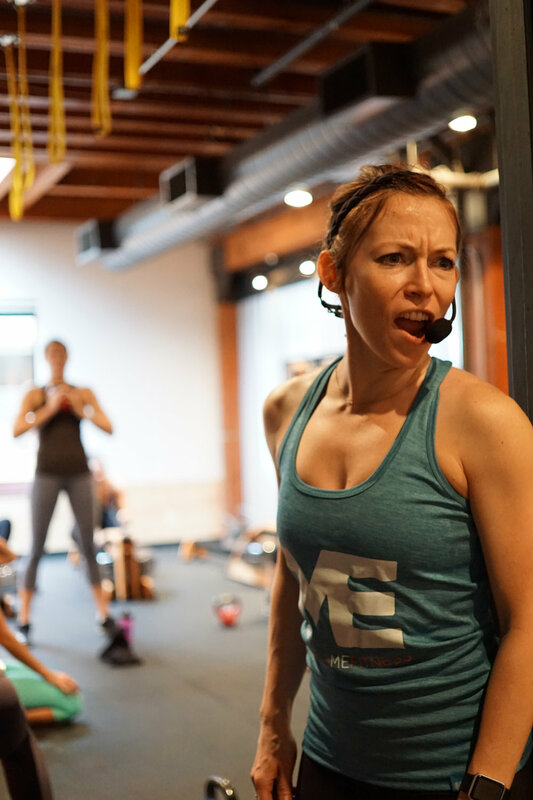 Studio ME is more than just another gym, studio, or place to workout. Our mission is to empower people to be their best selves through fitness. Back in 2014 I opened Studio ME fitness based on a passion I had for fitness and a healthy lifestyle. I was tired of what I was seeing in the group fitness scene; large classes, poor instruction and the same old boring workouts. I wanted to bring something new, something fun, something that was low impact and focused on helping people move better, feel better and live better. It’s hard to find time to work out and eat right in today’s busy world, so that is why most of our sessions are 30-45 minutes. You will get the most “bang for your buck” in these short, action-packed workouts. The equipment we use with our clients focus on strength, resistance and cardiovascular training. We spend the majority of our day sitting behind a desk typing on a computer so we focus our training on counteracting the side effects sitting all day. Our training methodology reduces the chance of injury, increases stability, body awareness, and flexibility. No matter your age or ability you will find a program that’s right for you. Studio ME is more than a place to workout. You will get to know your coaches and fellow members. It’s not just about working out, but making friends in the process. Group fitness is powerful and can help you stay on top of your fitness goals. Watch our schedule for Happy Hour Classes, special events and social gatherings. Working out doesn’t have to be a chore. We know it can be intimidating and the first thing to go when you get busy. We promise to make each session fun, exciting and challenging all while getting you closer to your goals. Not only will you love your workouts here you will be craving more!